My view from my window has changed significantly. While part of me is saddened, there is a part that is very happy. 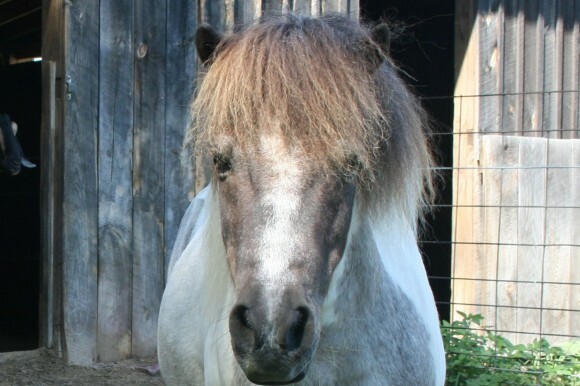 For lots of different reasons, we have been considering finding a new home for my mare Fascination (Fasci) for some time. I was using her less and less, especially since our neighbors moved away and I no longer had my helpers come every morning to help me with chores. But I refused to part with her unless I could find her a good home and I did. A young girl contacted me and came to visit and she just fell in love with Fasci. She sends me pictures and tells me tales of their adventures together ( I never knew Fasci liked to swim!). It seems like they have both found their best friend and I think Fasci is happier with all the attention and spoiling, that only a young girl knows how to do. 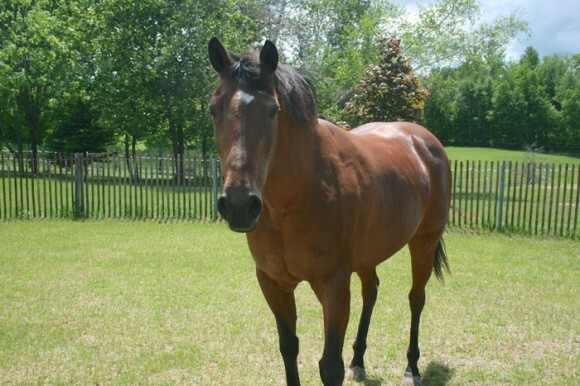 Her new owner is better than I had hoped and this story definitely has a happy ending. 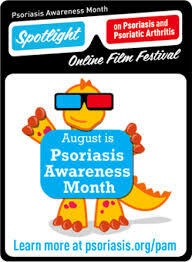 August is Psoriasis Awareness Month. Many people find Alabu Skin Care because they are having problems with their skin. One of those problems is psoriasis; an autoimmune disease that causes inflammation and typically appears as scaly patches that are red and raised. Psoriasis is can be mild or a very severe disease. Non medical approaches like diet changes, reducing stress, using a moisturizing soap, keeping moisturizers on your skin and avoiding hot showers can help the condition, but it is often not enough. There are five different types of psoriasis which makes it difficult to self diagnose. If you suspect you have psoriasis you should check out the National Psoriasis Foundation. They have mountains of information to help. I have battled flies in horse’s ears since I was a kid. Here in the Northeast the black flies are here from April until frost. If you don’t do anything, these nasty little blood suckers turn your horses ears into a crusty mass of dried blood. I’m thinking it doesn’t feel too good to your horse either. One solution is a fly mask with ears, but our Pony Cadilac Man doesn’t care for them. I know people say that not clipping the hair in their ears helps, but ears couldn’t be any hairier than Caddy’s so I’m not sure it makes any difference. But here is what I have found that works great and I didn’t have to look too far; Alabu Tea Tree Body Butter. I apply it every morning inside his ears and it heals any bites already there ( sometimes I forget to check for flies in his ears in the Spring) and keeps them from getting new ones. I also use it on the sheath area and the inside of our pony’s back legs where the horse flies like to bite. It heals and protects from them too. I have to say it works better than anything I have ever tried. I could probably apply less often, but Caddy really likes it, so usually he gets it every day. I think he likes the ear massage as much as keeping the flies away. 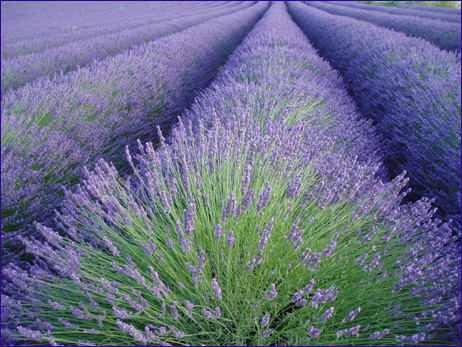 Lavender essential oil is one of the most widely used essential oils. Our ancestors knew they could use Lavenders camphor floral fragrance to deodorize and “clean” clothes and bedding as well as bodies. Research has shown that Lavender essential oil does indeed have some antibacterial and antifungal activity. In addition, it is an excellent aid in healing wounds and ulcers of the skin. But that’s not all. It also has some local anesthetic properties that help to relieve pain.Lavender Essential oil can be used to relieve pain from burns and bee stings. And if that’s not enough to make you think you should have some of this oil in your medicine cabinet, new studies are showing it is useful in the treatment of antibiotics resistant bacteria like MRSA. More information about Lavender Essential oil can be found here at Robert Tisserand’s web site. What is The Fourth of July? Is it just another day off from work for a party and the first holiday of summer? In the past it was always called Independence Day and there is a reason for that. 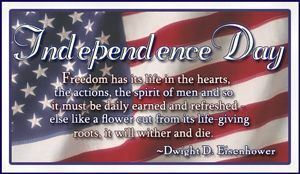 Independence Day celebrates the adoption of the Declaration of Independence by delegates from the 13 colonies in 1776. The Declaration of Independence changed the course of history. It celebrates the experiment of a new kind of government. For the first time in history, the people, not kings or conquerors, would rule a nation. Elected delegates would vote; representing the will of the people, because they declared it is a natural right for man to be free. So on this day, July 4th 2014, Independence Day, have a party, celebrate, have fun, just remember what you should be celebrating for. I am celebrating the fact that I have the ability to live my dream, be independent and own my own business making our healthy skincare products! What about you? What are you remembering and honoring about the fourth of July?